This is the ultimate champagne guide, and an unparalleled source of information. Whether you want a point of reference, or have the ambition to absorb knowledge from the absolute frontrunner in his field of expertise, you will enjoy access to the world´s largest tasting library for champagne. 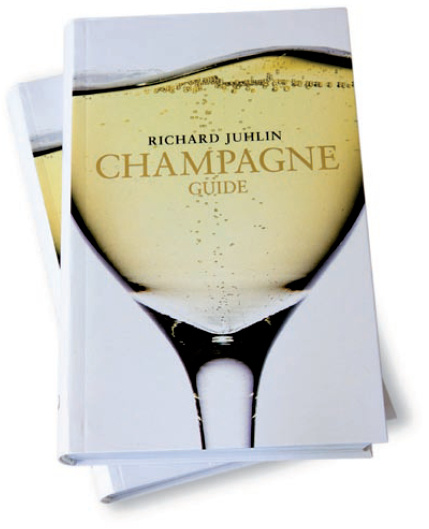 Richard Juhlin continually and methodically posts all his sought-after champagne tasting notes in this internet library. The database includes everything, and you can easily search for specific information, or simply read and enjoy Richard Juhlin´s texts for leisure. Each tasting note contains information about a particular champagne, the year, the producer, the village/area of location, the grape composition, the date of sampling, the score that Richard Juhlin awards the wine at the time of the sampling, as well as the potential maximum score after proper maturing. Finally, of course, it contains Mr Juhlin´s uniquely personal description of the wine. You can search for producer, champagne brand, year, or Richard Juhlin´s current or potential score. You can also use other information as key words when searching, for example village or grape composition. Check out how many Champagnes Richard has tasted up until today. Not yet a member? Sign up for membership.